The receipt you got from ATM (Automatic Telling Machine) is made by thermal paper. It’s fine paper with chemical surface which will turn black when exposed to heat. There are lots of ATM brands like Diebold, Wincor Nixdorf, NCR, Olivetti, OKI. 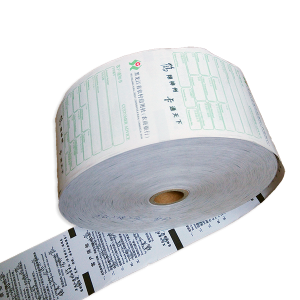 They all use thermal paper as their printing media.- It’s called ATM Thermal Receipt Paper Roll. 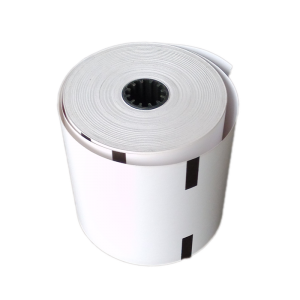 Thermal paper rolls needs to be printed with different black sense marks on back or front side of paper to suit for the variable ATM brands. The machine will cut the paper when it detects the position of black sense mark. So customer will get a piece of bank receipt. 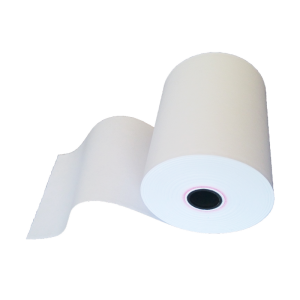 The popular ATM paper roll sizes are 80x100mm, 80x150mm, 80x180mm, 80x200m. Few ATM machine requires small size like 57x40mm, 57x50mm.